For six years, this year, and this, and this, and this, I did not love him. And then I did. Then I was his. I can count the days I was his in hundreds. The days we bedded. Married. Were Happy. Bore Elizabeth. Hated. Lusted. Bore a dead child… which condemned me… to death. In all one thousand days. Just a thousand. Strange. And of those thousand, one when we were both in love, only one, when our loves met and overlapped and were both mine and his. And when I no longer hated him, he began to hate me. Except for that one day. I’ve always been fascinated about Anne Boleyn and have been reading anything I could lay my hands on about her, but when it comes to movies, I tend to procrastinate. 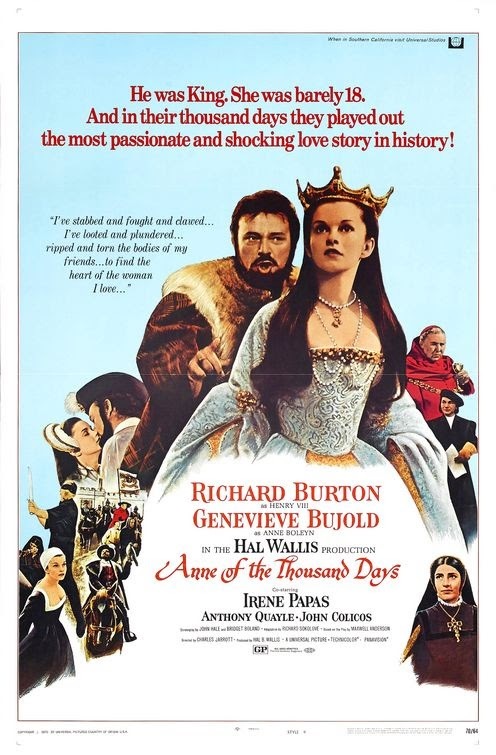 It took me almost 32 years to finally watch Anne Of The Thousand Days, the famous movie adapted from a Broadway play of the same name, and when I did, I was somewhat disappointed. It’s not bad at all, but I guess, after all the hype, I expected something different… better. I can see why the movie got mixed reviews when it came out because I have mixed feelings about it too. Let’s start with the good. 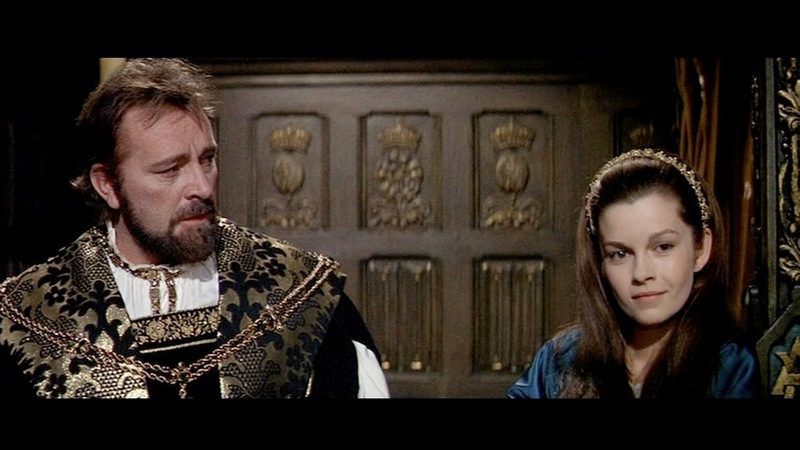 Richard Burton is the best Henry VIII I have ever seen. He just exudes the Tudor monarch from every pore. He perfectly portrays Henry’s obsessive lust for Anne, his desperate determination to have a son, and his tendency to blame others for his problems and justify his cruel actions towards them. Had they died his hair red, his transformation would have been complete. Genevieve Bujold was equally good. Her Anne is fiery and beautiful, not afraid to speak her mind about what she thinks nor to fight for her rights and those of her daughter. You would have never guessed this was her first role in Englis. She is my second favourite Anne Boleyn after Anne Dormer, although that’s mostly because of limitations imposed by Bujold’s Anne by the script. Whereas Dormer played Anne in a mini series that allowed her character to develop and show all its facets, Bujould had only two hours and a half to portray Anne Boleyn. Because of that, you don’t get to see the vivacious charms, quick wit, and gracefulness that so captivated men. Henry is already captivated by Anne when the movie starts, not giving the viewers any reason about what caught his eye about her other than her beauty. And Anne’s wit comes out only to rebuff Henry’s advances and makes fun of him, his clumsy attempts at courting her, and his failures to get his first marriage annulled. The movie doesn’t even show her interest in religious reform. 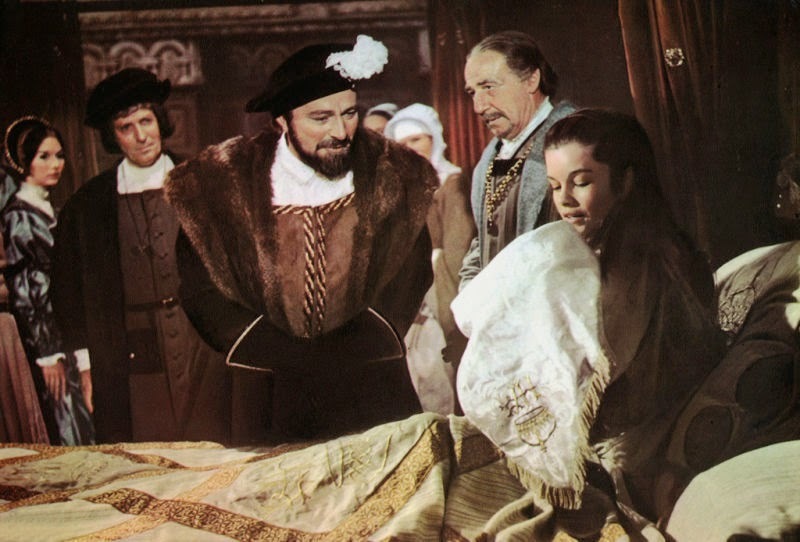 It was Anne who gave Henry a book arguing for the supremacy of kings over Popes, but in the movie it’s actually Cromwell that points that out to him. 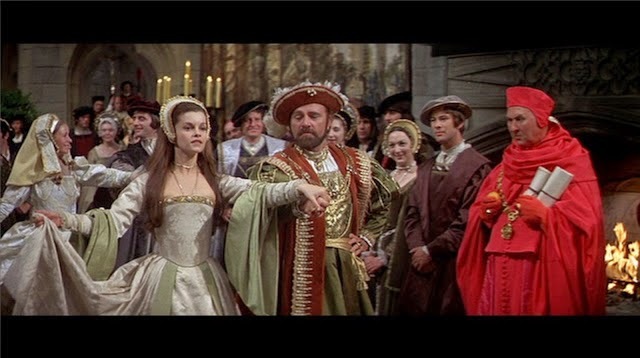 Anne Boleyn should be the star of the movie, and although she has many great lines, like the one mentioned at the top of this post, her portrayal only shows us some sides of her character. That’s why I felt that this movie was mostly about Henry VIII and his obsessive lust for Anne than Anne herself. Bujold’s performance, though, is too good to relegate her Anne in the background. Because the movie “only” lasted almost two hours and a half, it is quite rushed. Some parts of the movie, such as that about the divorce proceedings, are too condensed, short, and, to someone who’s not familiar with the whole story, a little confusing too. There are also quite a lot of inaccuracies. While it’s perfectly normal and acceptable for liberties to be taken in movies, there are some of them that are harder for me to forgive. Two examples are Henry’s presence at Anne’s trial, during which he personally interrogates Mark Smeaton, and his last meeting with Anne while the jury is deliberating. In reality, once Anne was arrested, he never saw her again. Overall, Anne Of The Thousand Days features brilliant actors that make their characters come to life again, beautiful costumes, and poignant quotes. But it is too rushed, takes too many liberties with history, and, most importantly, doesn’t portray all the complex facets of Anne’s personality that made her such a fascinating and charming woman and allowed her to both rise so high and fall so low.